Blueberries are labeled a superfood for good reason. They fight the effects of aging and combat cancer-causing free radicals. At the same time they help with getting rid of belly fat and lowering the risk of heart disease. This smoothie makes great use of the small but mighty fruit. Blueberries have one of the highest amounts of antioxidants, which fight cancer and early aging in the body. Anthocyanin, which gives blueberries their beautiful blue color, attacks harmful free radicals and prevents the growth of tumors. It also protects against heart disease. 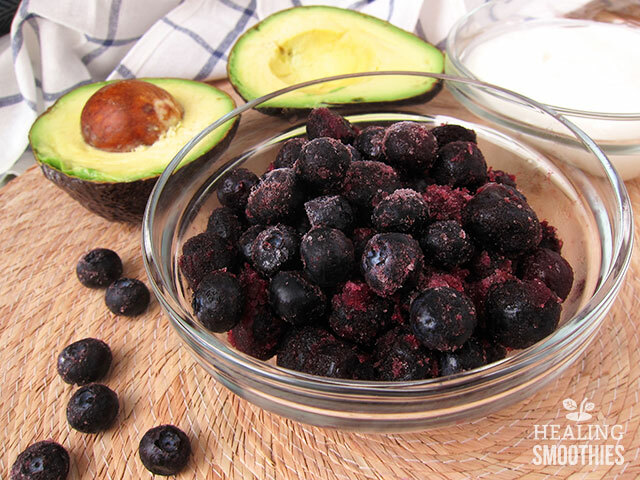 Proanthocyanin found in blueberries has anti-aging properties and supports glowing young skin. 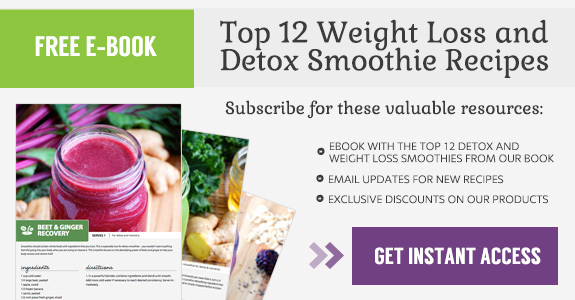 Blueberries have also been credited to aiding weight loss efforts. In particular, the flavonoid catechin works to stimulate fat-burning genes in the abdominal cells to help lose belly fat. Furthermore, similar to cranberries, blueberries have compounds that prevent infection and clear out bacteria from bladder walls, warding off urinary-tract infections. Eating blueberries can even boost your memory. The fruit contains a high amount of phenols, specifically gallic acid, which benefit the brain. They protect brain cells from degeneration, neurotoxicity, and oxidative stress. Age-related diseases are often caused by a breakdown in our body’s ability to cope with oxidative stress over time. Additionally, blueberries are a good source of vitamins C and K, and also provide fiber. 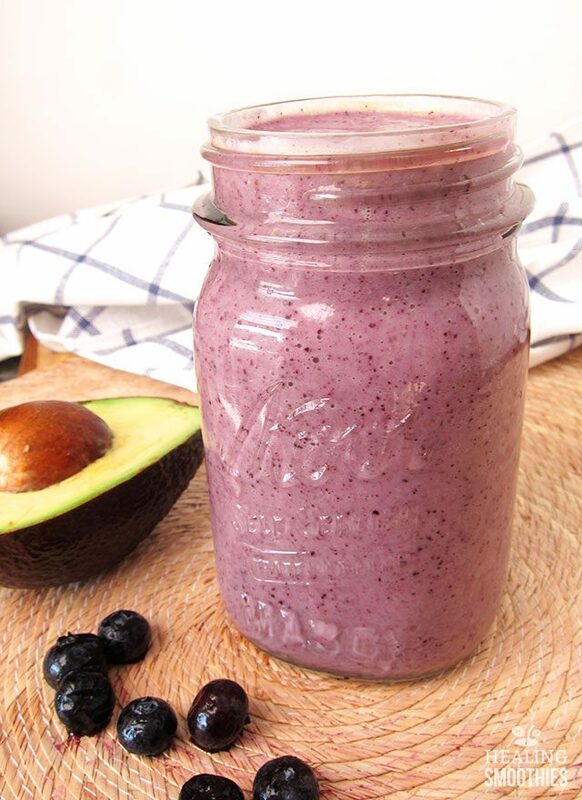 A creamy blueberry smoothie can benefit your body from head to toe. 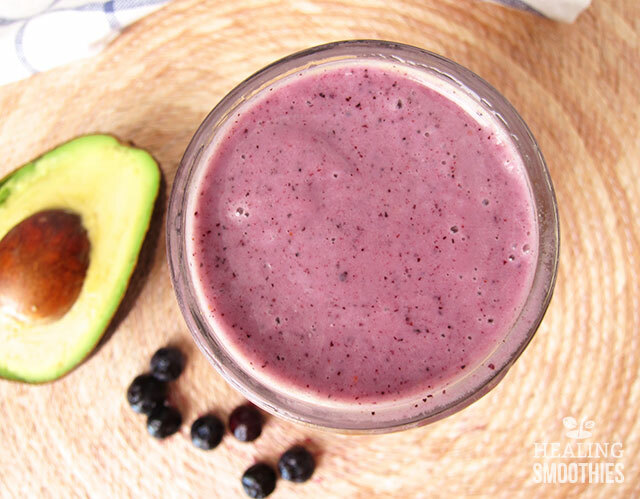 With the addition of avocado, this thick and creamy smoothie is suitable for any time of day.